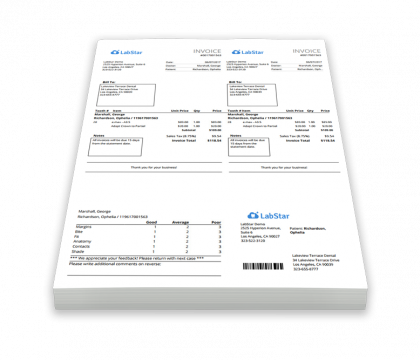 LabStar gives our software users the option to use perforated invoice paper. 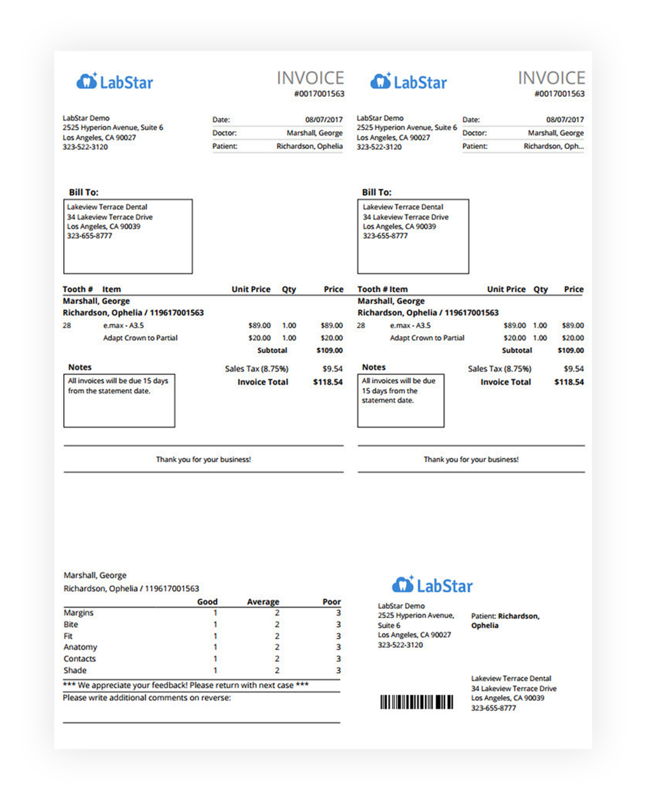 The paper is divided into four sections that include an invoice for the client, a smaller duplicate invoice for the lab, case feedback, and peel-off address label. This button will take you to an outside website to purchase perforated paper. Please contact LabStar for the current "Promo Code," which will have to be entered for each order. Taxes and shipping (when applicable) will be charged at the time of order. 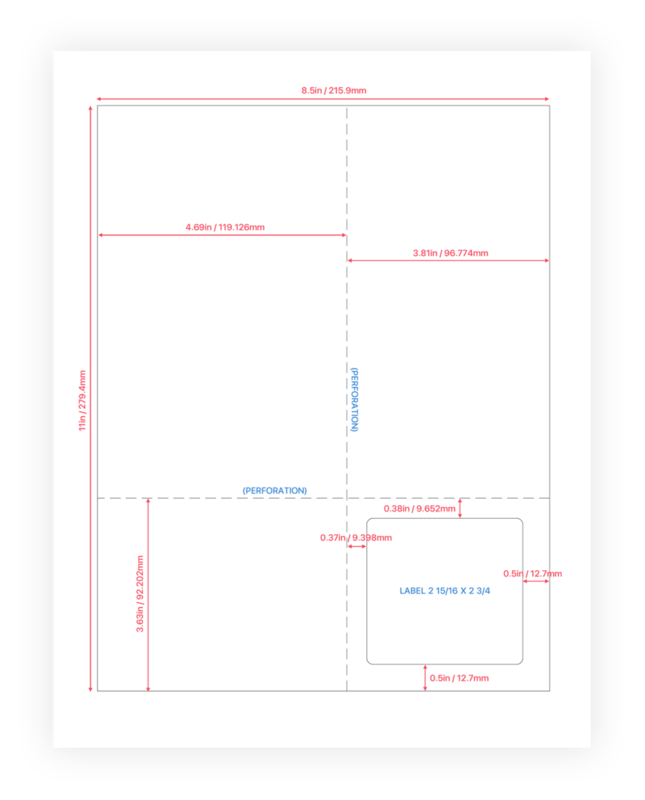 Weight per 1,000 sheets is 12 lbs. Payments by Visa, Mastercard, and American Express are welcomed. Click image below for larger preview.